we had such a great day in nyc on friday. 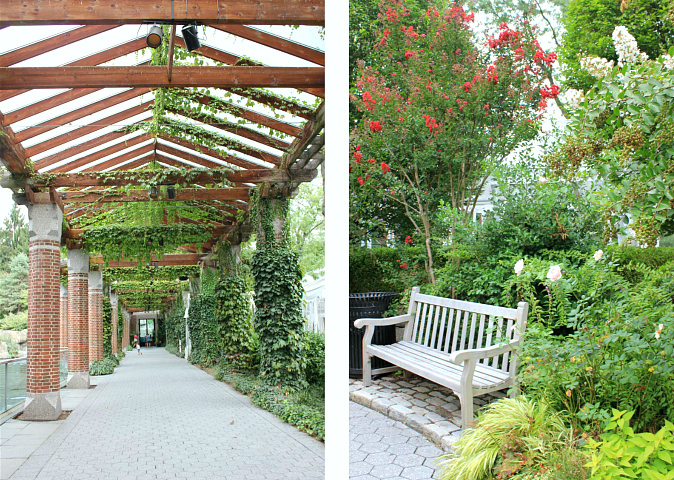 while we were there, we spent some of our afternoon at the central park zoo. we have been to nyc countless times, but somehow we have never visited the zoo in central park, so we were really looking forward to it. i was surprised how large the zoo was and how many different animals were right there in the middle of nyc! we saw so many animals, including: sea lions, exotic tropical birds, geckos, monkeys, lemurs, penguins, puffins, grizzly bears, snow leopards, goats, alpaca, cavy, pigs, and monkeys. while we were there, we were able to see a sea lion feeding and a penguin feeding. the sea lions had such great personalities. i loved the way they played with their trainers, just like cats! the real highlight for me was seeing the penguins! the zoo had four different types of penguins. i could not believe how friendly they were and how close we were to them. there was just a small piece of glass separating the penguins from us. i felt as if i was almost swimming right with them. i met one penguin who really took a liking to me. he kept following me wherever i moved. i really wanted to take him home with me! one thing that really surprised me was how close we were able to get to all of the animals. i felt like i was really up close and personal with all of them which made the whole experience that much more special. some zoos keep you at such a distance. we had a great time, and i'd recommend the zoo for any age! a tip if you go: buy your tickets in advance online to save 10% off the price of admission! These are great photos. 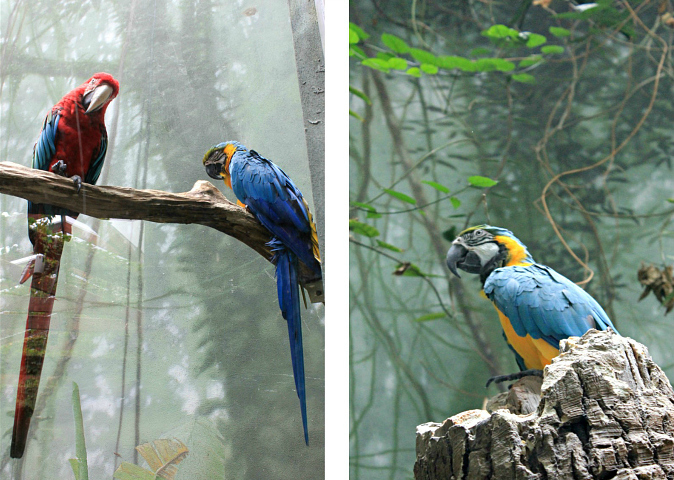 The birds are really colorful and the zoo looks beautiful and well-cared-for. It looks like the see lions and the penguins are posing for the camera. Very, very nice. I did not think the zoo would have been as nice as it appears. I think that penguin likes you. Cute bunny.